Remember when being president meant that, even if you pitched yourself as a man of the people, it was considered embarrassing when you didn’t know the names of world leaders? No? Well, it happened! But that’s not the universe we live in anymore. Not even close. But Trump made a mistake, and not a small one. 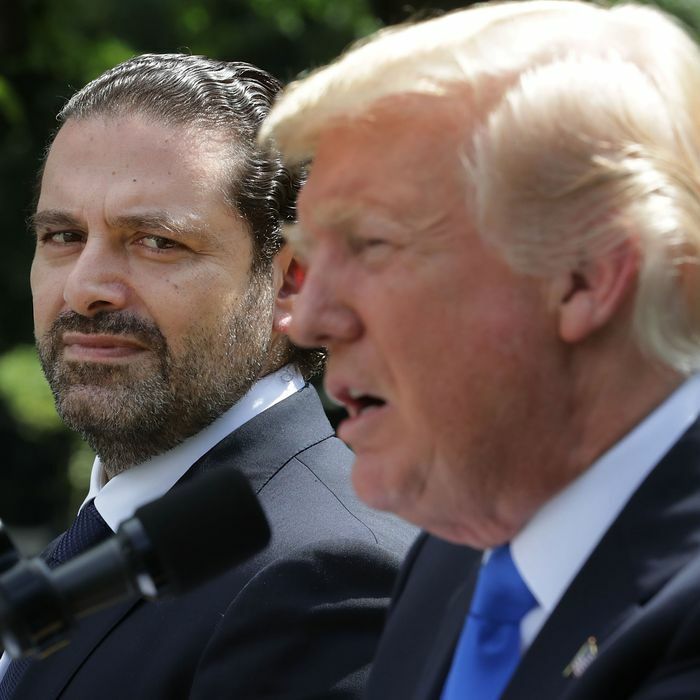 In reality, Hezbollah — the radical Shiite organization that the U.S. classifies as a terrorist organization, and which is closely allied with Iran — has long been a power broker in Lebanon, and is now an important part of Hariri’s cabinet. Trump, was, in effect, insulting the prime minister to his face. Later, responding to a question about sanctions against the group, Trump gave a meandering answer that in no way indicated that he even knew what the reporter was talking about. Coming amid the other typical madness of a day in the Trump administration — plus that health-care vote — Trump’s not-really-excusable mistake barely caused a ripple. In any case, it’s a great time for secretary of State to take some time off.